The CYT guide to Lucid Dreaming will get you Lucid Dreaming within 1 week of using the methods and Practices in the book. If you practice and use the methods in the eBook and are not Lucid Dreaming within 1 week I will refund your money. This short guide is your beginners lesson in Lucid Dreaming, the amazing art of waking up in your dreams and being conscious whilst still asleep. The amazing experience of Lucid Dreaming is something never to be forgotten and I will give you a grounding in what lucid dreaming is, how you can begin your adventures and what to expect when you have lucid dreams. Prepare yourself to have your first lucid dream. Overcome nightmares, boost your creativity, become more self empowered. This is an introduction to the world of Lucid Dreaming, the amazing art of being conscious whilst you are dreaming. When you are consciously dreaming you can control your dreams and have the most amazing experiences. This guide is for anyone who wants to learn all about lucid dreaming and how it can help in your life. It tells you the basics of lucid dreaming and will see you having your first lucid dreaming adventures. If you are an experienced lucid dreamer, this guide is not for you. 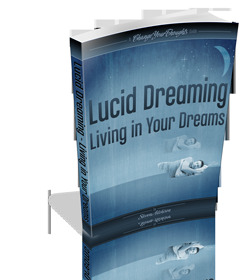 It is a guide to get you started, and to be able to have your first lucid dreams. Also if you don't want to spend a few weeks practicing this, then this guide is not for you either, as it will take a few weeks to have your first lucid dream, however it may be sooner.